Another busy month for Rimrose Valley Friends, so we wanted to share a few important updates, particularly for those of you who don’t follow us so closely on social media. We have launched an ambitious project “Bees, Blooms & Butterflies” with a goal to create a huge wildflower meadow on the Chaffers Field section of the park. 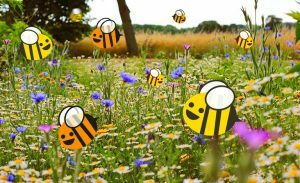 This crowd-funded initiative is also backed by various funders who award grants to make it happen, so they like to see as much support from the community as possible. You can donate as little as £2 to help our cause. 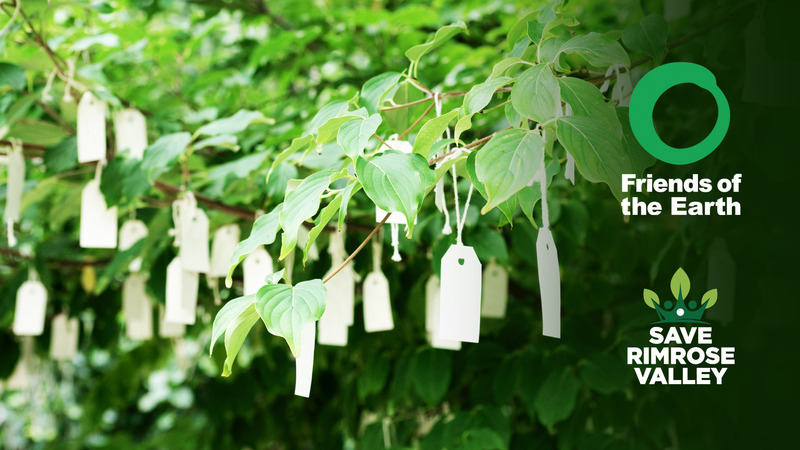 To learn more about this and to pledge, go to our project page by clicking here. On the campaign front, last month saw a visit from the CEO of Friends of the Earth England, Wales and Northern Ireland, Craig Bennett. He was at Rimrose Valley to learn all about the proposed road and our campaign to stop it. He also met school children, who joined members of the public hanging their wishes for Rimrose Valley’s future on a tree next to the Beach Road entrance. Find out more by clicking here. 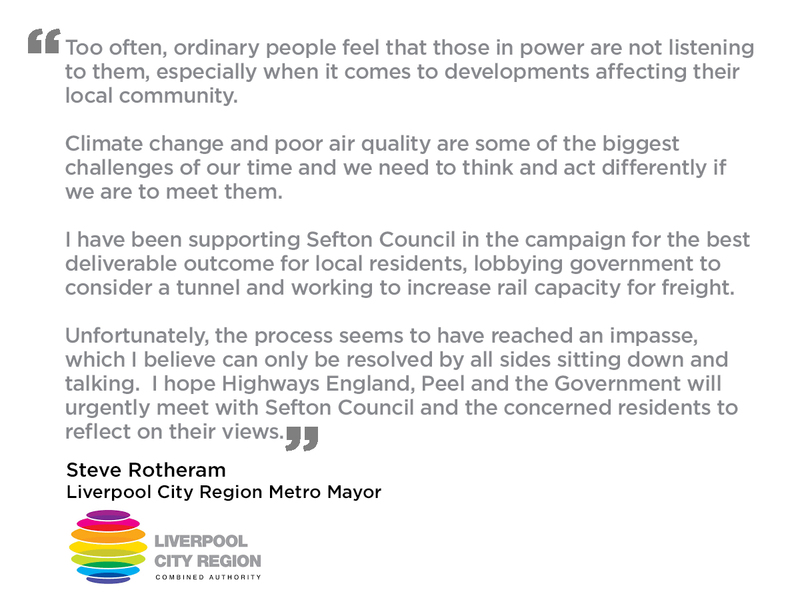 In the past few weeks we have received statements from Metro Mayor, Steve Rotheram and the national Liberal Democrat Transport Spokesperson, Baroness Randerson. 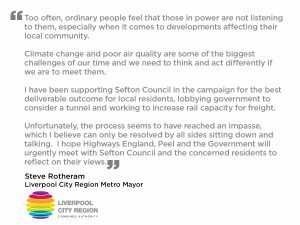 Read about Steve Rotheram’s calls for a meeting to move things forward by clicking here. We have asked him to facilitate this as we relish the prospect of being able to tell Government Ministers what we think of their road proposal. 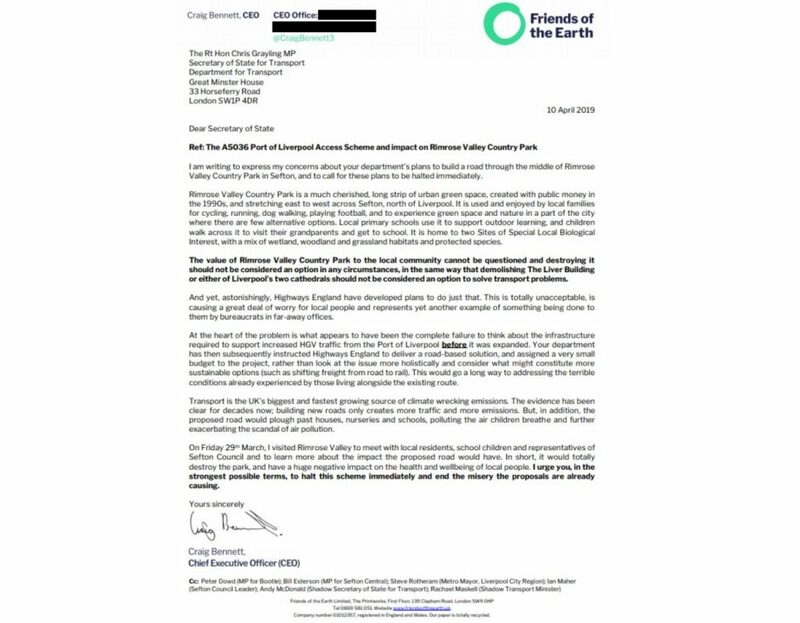 We continue to work with our MPs Peter Dowd and Bill Esterson to ensure that this unpopular road is being raised at Westminster and will share updates as and when they are received. All of this means that political pressure is building and we hope this reaches a level where the Dept for Transport is forced to look at this again. 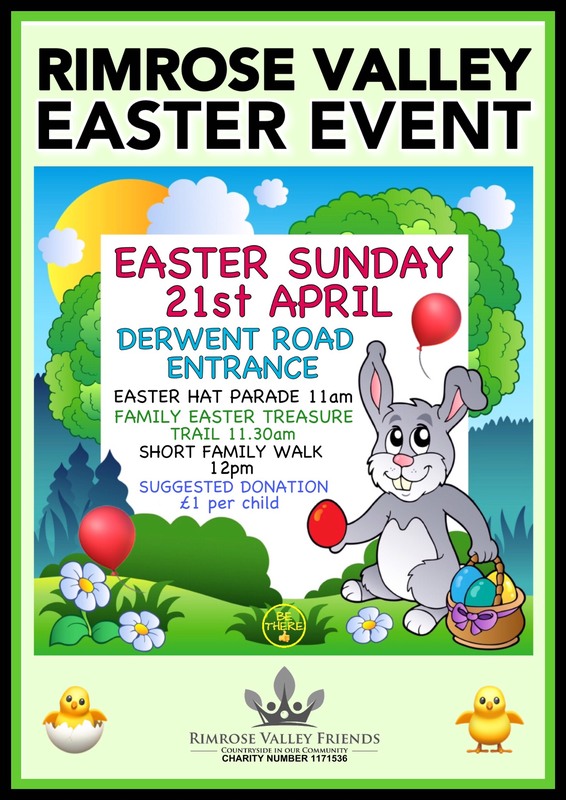 Next up for us is our Easter Event on Sunday, 21st April at 11:00am. 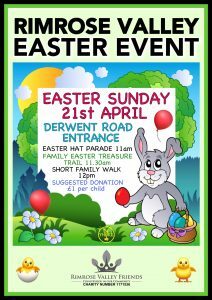 This will be held at the Derwent Road entrance of Rimrose Valley. Please come along, join the fun and support our charity. Don’t forget that the BEST place to keep up to date is via our campaign website www.saverimrosevalley.org or by following us on social media. Links to Facebook and Twitter below.